Many inscriptions and sculptures in the mountain of Rock fort that have passed the test of time indicate that the region was once a flourishing land for Jainism where deformed sculptures of Tirthankara are found to be carved on a rock bed known as Sarukku Parai in Rock fort. As one of the world’s oldest cities, Trichy has its history dating back to even the era of Christianity when it was ruled by the Chola kings. It was the capital of the Cholas during which time it flourished. The Cholas built the Grand Anicut which is the world’s oldest dam which is still functioning, dating back to the 2nd century AD. Perched high above a massive hill situated in the center of the city is the Rock fort temple which is dedicated to the Hindu god, Ganesh. The majestic hill itself is over 3,800 years old. There are caves in the hill which denote Jainism was once thriving in the city. 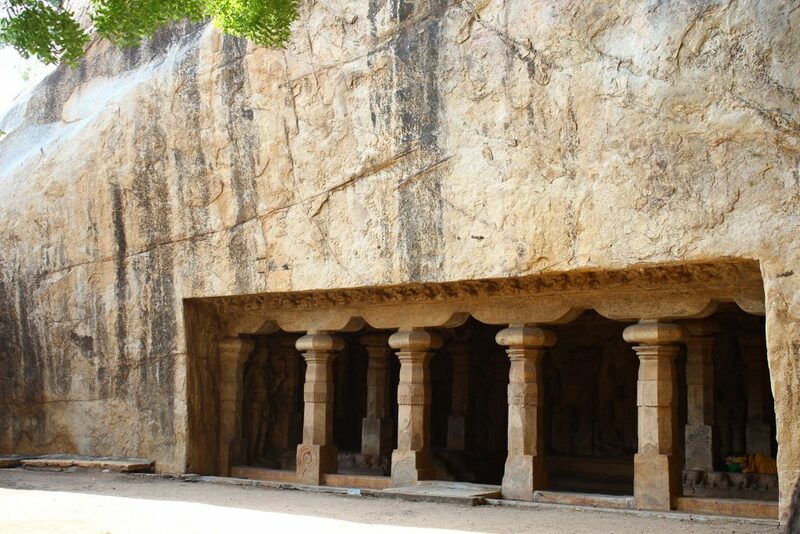 It is believed that this cave had Jain rock cut beds, inscriptions and sculptures which were demolished during the Pallava reign. Being in the heart of Tamil Nadu Tiruchirapalli was ruled by all the three Tamil Dynasties (the Chera, Chola and the Pandya). Later it went into the hands of the Vijayanagara Empire followed by which it was taken over by the British during their reign in India. Trichy was first comprised of Pudukkottai, Karur and Perambalur. Later these cities were separated from Trichy and made into a district of their own. Many eons ago a three-headed demon named, Trishira who was the son of the demon king Ravana, meditated to the Hindu god Shiva in the present day Trichy and obtained the favor of the Lord. 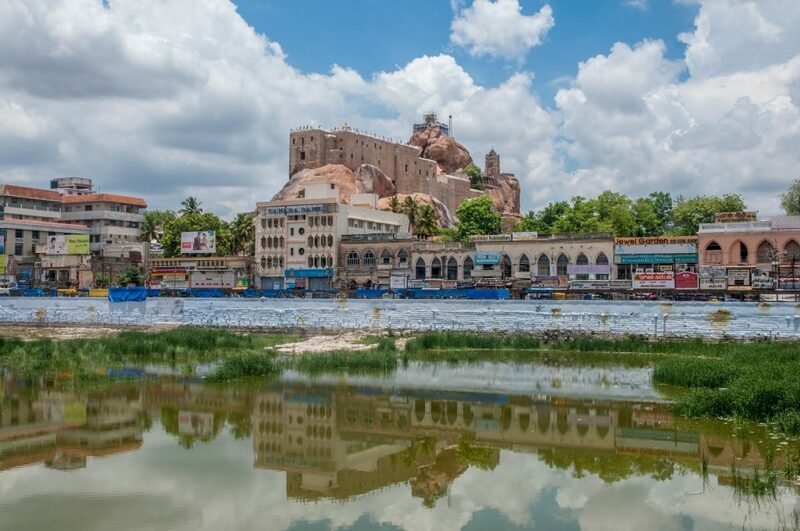 Tiruchirappalli obtains its name from this demon who is three-headed (Trishira – ‘three-headed’ and palli – ‘city’). But also apart from this myth, a rock inscription belonging to the 16th century in Tiruchirappalli mentions that ‘Tiru-ssila-palli’ means ‘holy-rock-town’. This gave the city its popular name, rock fort. Having the advantage of being positioned at the center of Tamil Nadu, Trichy is a fast growing city which was once about to be made the capital of Tamil Nadu. It is proved historically that Tiruchirappalli has been in existence since the stone ages after which it was taken over by the early Cholas. Trichy is a heaven trove of ancient temples. 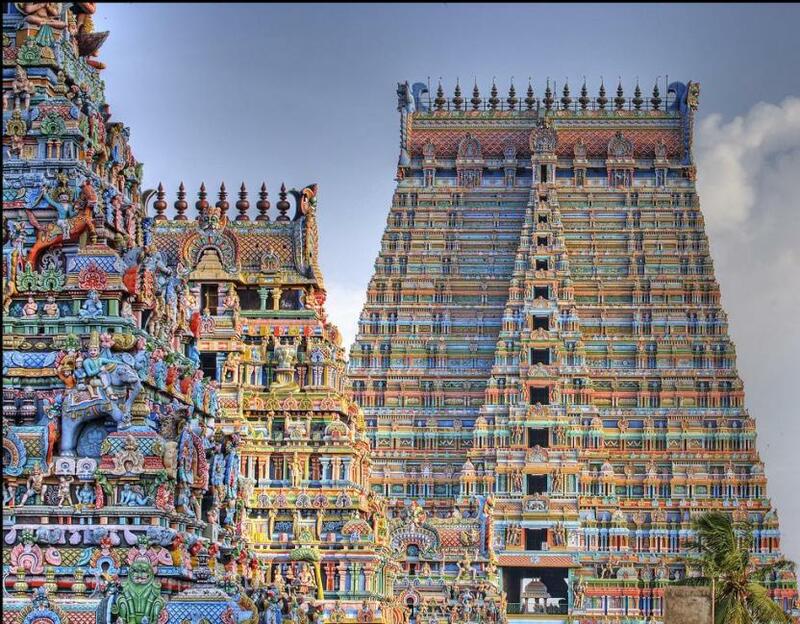 The world’s largest functioning temple, the Sri Ranganathaswamy temple is situated in Trichy in the temple island of Srirangam which is in between the Cauvery and the Kollidam rivers. The temple is a fine example of the artistic work of Tamil people with intricate sculptural design. Another popular temple situated in the island of Srirangam is the Jambukeswarar temple which is dedicated to the Hindu god, Lord Shiva. This ancient temple is one among the five cosmic temples that are dedicated to Shiva and it represents water (Neer). The Avur church located near Trichy is one among the oldest churches in India built during the year 1547. Our Lady of Lourdes church located in the heart of Trichy is over 150 years old. Constructed in 1840 this church is built in the Gallo-Gothic styled architecture and is a peaceful haven from the chaos of the outside world. The Darasuram temple near Trichy is one among the four world heritage sites in Tamil Nadu. Another wondrous architectural work of the Cholas is the Brihadeeswarar temple at Tanjore which stands tall in Tamil Nadu’s history as a great example of skilled work of art. Situated near Trichy is another World Heritage Site, the Gangaikonda Cholapuram, a town that was the capital of the Cholas during the reign of King Rajendra Chola. It was built to celebrate his victory over the Pala kings and named the town as Gangaikonda Cholapuram meaning ‘The city that took over Ganga’. A temple belonging to the Hindu God Brahma is a rare one. One such temple is situated in Tirupattur near Trichy and is known as the Brahmapureeswarar temple which is also the Jeeva Samadhi of the saint Patanjali who is said to have influenced the practice of Yoga. Another temple which, as legend goes is over 15 lakh years old and built during the reign of Sibi Chakravarthy, an Ayodhya King. This temple is known as the Pundarikakshan Perumal temple and dedicated to Lord Vishnu and is located in the outskirts of Tiruchirapalli in a village named Thiruvellarai. The River Cauvery flows through the states of Karnataka and Tamil Nadu. It is one of the largest rivers in India and forms one among the most fertile areas in the country. It flows through Tiruchirapalli where it divides into Kollidam and Cauvery and joins again forming the temple island of Srirangam. This river has always been praised in poems and other literatures of the Tamil language. 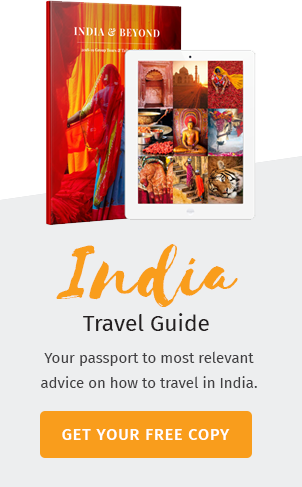 The Cauvery is also known as the ‘Ganges of the South’ and is regarded as a holy river. As legend goes, it is said that the sage Agathiyar was transfixed with the beauty of Cauvery, a damsel who is the daughter of Lord Brahma. As the sage asked for her hand in marriage Cauvery accepted on one condition that if the sage ever leaves her for a long time she would get away from him. One day the sage was immersed in a conversation so deep that he forgot time and Cauvery. 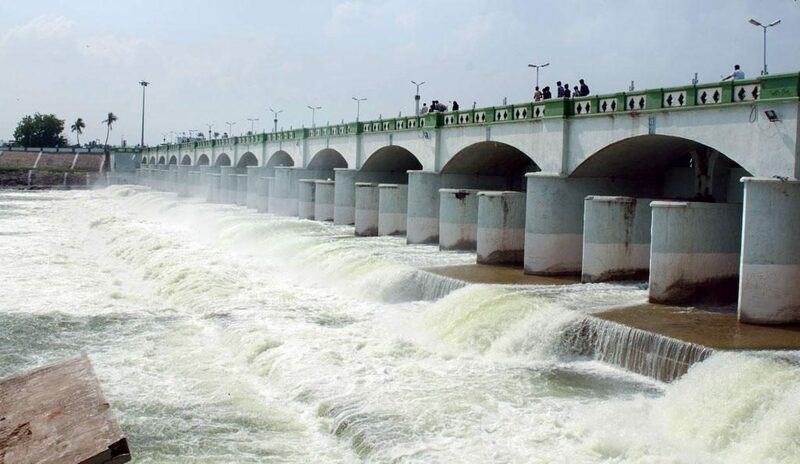 As per the agreement, Cauvery turned into a river and flowed across the land fulfilling her wish to serve the people. She nourishes all the land she touches and the people thrive on her waters. Across the Cauvery, in Trichy, is where the Grand Anicut was built during the 2nd century by Karikala Cholan, a Chola king. The dam is known as “Kallanai” and was built with such architectural intelligence that it became a marvel during a discussion by the British after visiting the dam. Hence, they named this dam as the Grand Anicut. After 2000 years of its construction, the dam still functions and keeps the water in the Cauvery steep and allows the flooding waters to be sent into the Kollidam River where it reaches the sea. Without the Kallanai, most of the water will seep into Kollidam and to the sea. Kallanai makes sure that the water needed for agriculture and irrigation purposes reached Cauvery. This dam has been an inspiration for the construction of many dams owing to its amazing engineering. The Grand Anicut clearly shows the engineering skills of the ancient Tamils. A fine blend of tradition and modern culture, Tiruchirapalli is well known for its temples and vibrant street life. It was known as Trichinopoly by the British and the city is even mentioned in the works of Ptolemy. A special type of cheroot was grown in Trichy which was manufactured into cigars and exported abroad during the Victorian era. This type of cigars were known as the Trichinopoly cigars. The famous cigars which is used by Sir Arthur Conan Doyle inn his stories of Sherlock Holmes are the Trichinopoly cigars. Tiruchirapalli played an important role during the independence movement. There were protests and strikes during the Quit-India movement conducted in Trichy. Many famous independence leaders hailed from Tiruchirapalli. Located right at the center of the state, Trichy has a higher advantage in travel and transport. It also has the country’s most renowned educational institutes like NIT, IIT and IIM. Tiruchirapalli being one of the foremost cities in the country deserves a special attention during any vacation to southern India. Watch as the wonders of the country ravel as you visit Tiruchirapalli.